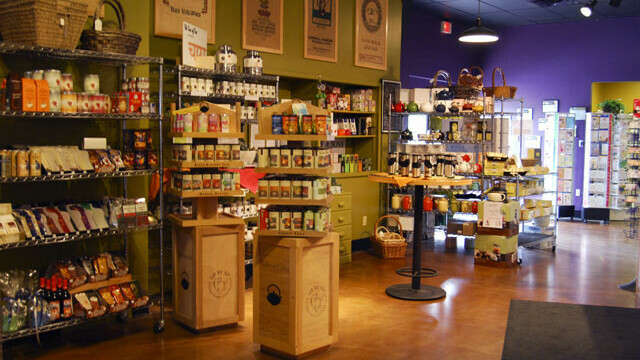 The Coffee Grounds is a casual, European-style café in a gourmet food/coffee/beer/wine/cigar gift shop. They offer a variety of baked goods, homemade soups, and fresh unique sandwiches. Their menu is always evolving and you can order lunch online. Wine is served by the glass and tap beers from K Point Brewery are available. Wednesday-Sundays they have a "small plate" special, which includes burgers, fries, and cheese boards. Don't forget the coffee! They roast and sell their own beans.